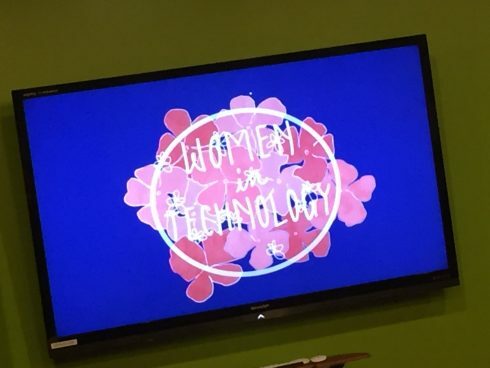 Women in Technology logo created by DET graduate, Bethany McBride (’16). 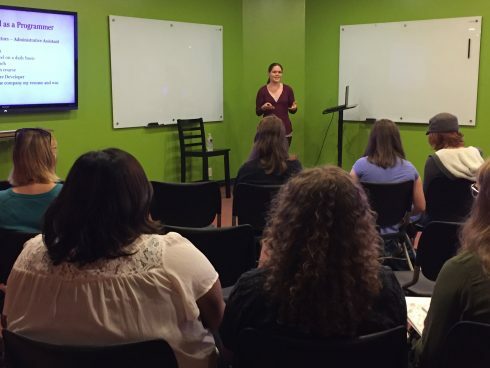 SITC hosted our first Women in Technology Conference this past weekend. 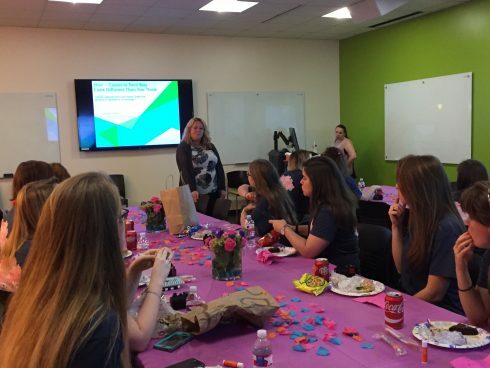 The event provided an opportunity for female technology majors to hear from industry professionals and young alumni about their experiences in technology. Speakers included computer science graduate Kendall Lundschen (’11), information systems graduate Natalie Lemieux (’15), Jeanette Schofield, Software Developer at WolfePak Software, and Christy Thomas, General Director of Technology Services at BNSF. Jeanette Schofield, from WolfePak Software, speaks to students about her experience in software development. Christy Thomas, General Director of Technology Services at BNSF, shares about the many opportunities to women in the technology industry. Participants in the two-day event were able to learn more about the opportunities available in technology and encouraged in their pursuit of their professional goals. 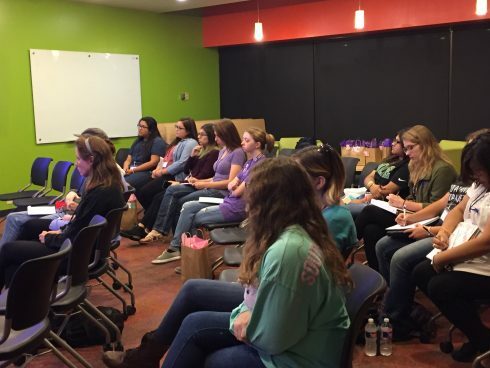 Jenni Williams, Enrollment and Student Development Manager in the SITC, started ACU’s chapter of Women in Technology last fall as a means of boosting female enrollment in SITC.